I have always enjoyed singing. There are multiple home videos of me singing as a child – anything from Sunday School songs to that baby, mama, papa shark song with actions. In school, I was part of many choirs and from a young age, I loved my piano (except when I had to practice for exams or Eisteddford competitions). I remember a particular moment in primary school when I told the Lord that if I sing, and if I play piano, if I write, or dance or do anything else, I want to do it for Him. That’s the earliest time I remember proclaiming (just quietly to Him) that I want to glorify Him in every aspect of my life. The same is true today as I choose to make that decision daily – to submit to Him and give Him glory in all parts my life. I submit, and the rest is up to Him! Anyway, I wanted to share some of my musical journey with the Lord as I also begin sharing more of what He has given to me in the secret place. In primary school, I remember my obsession with music. Every Saturday, I would turn on the TV for a couple of hours to watch Video Hits and RAGE. I was involved in school choir, festival choir and Australian Girls choir. 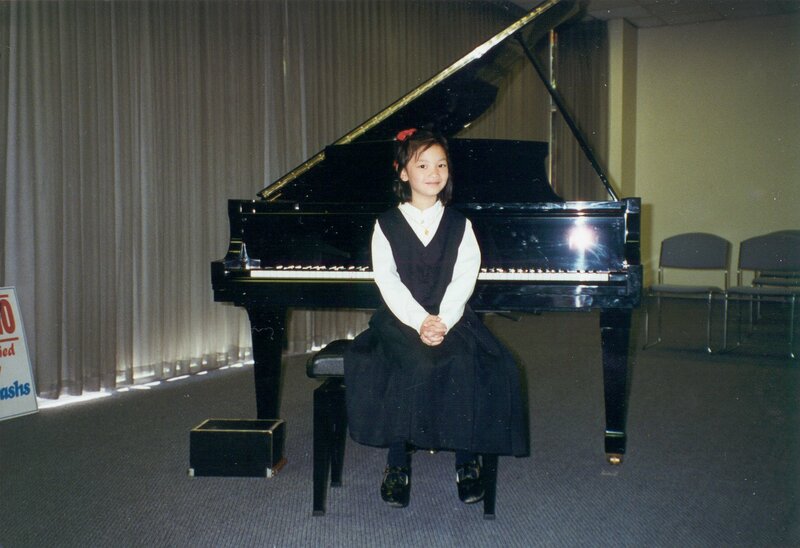 I had piano and cello lessons, loved listening to classical music, and had a favourite CD – Songs from the Beginner’s Bible, sung by Jodi Benson, the voice of the Little Mermaid (I still love to listen to these songs). Suffice to say, I had plenty of opportunity to immerse myself in music and learn many things – confidence in singing before people, harmony, music theory. I can’t say I enjoyed Eisteddfords (they were one of the most stressful events of each year), and I would always have quivering lips if singing a solo, but I kept involving myself in music, and I kept learning, singing and playing. At some point (I don’t remember when), I began back-up singing in church. It wasn’t all easy. I remember multiple times of discouragement in music. When I auditioned for a music scholarship at Marryatville, I had a written letter saying “Kristen plays the piano and sings very well, but cello is not her forte.” So, for many years after this, I subconsciously thought I must not be good at cello and that this was not something God would use. The first time I worship led, the feedback was that I should open my eyes more. No one really offered to train me up though I saw many other people being mentored in worship leading, so I decided I’d just like to support people and back-up sing forever. Those are just a few examples of situations that influenced me in my musical journey, but there were many more – both discouragements and encouragements. In high school, I developed my poetry skills. Before then, I had favoured writing prose. 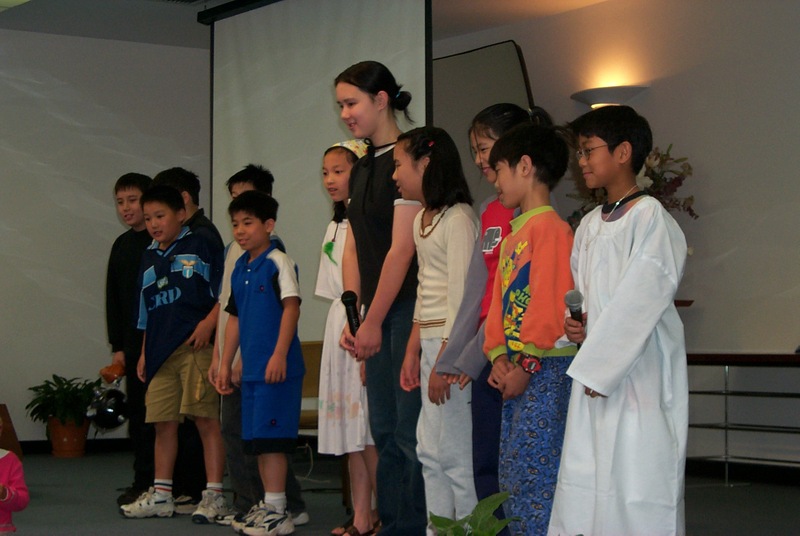 In Year 9, I wrote my first song for the Lord, just before our 2-week mission trip to China. I continued writing songs intermittently from then, but it would only be 9 years later that I felt ready to share the music that God had inspired in me. In Year 11, someone finally approached me and offered to teach me how to play contemporary piano. It was a bit of an adjustment at first translating my classical piano skills to contemporary chord music. However, with constant practice, it became second nature. I am truly thankful for this person, the first, apart from my parents, to really encourage me in music, and train me up to play for the Lord. It was this person also, who prayed over me the very first time I worship-led. I didn’t lead again for many years, but I remember that prayer and the quick words of wisdom he gave me just before the worship set started. Still, though I had become quite involved with the worship team at church (back-up singing and playing piano), it took many years for God to change my mindset of false humility. Perhaps the many years of wanting to be taught but being rejected had convinced me I didn’t want to be in the spotlight, and wasn’t good enough anyway. My mum would continually remind me that the Lord had given me a musical gift. Year after year she encouraged me as she heard me play and sing at home. However, it wasn’t until my then boyfriend, now fiancé, said the following words to me, that I really understood what it meant to sing unto the Lord. We were sharing bits of our walk with God when he said to me, “Kristen, humility isn’t being less, it’s thinking about yourself less. To be less would be to hide the glory of God.” Something clicked in my heart that day and I asked the Lord to lead me to live in all His fullness, yet also with true humility. It completely changed my attitude, and I learnt and grew exponentially in this over the next few months. However, I also waited, growing in my own time with the Lord at home. If I was meant to lead others into worship, I wanted confirmation by the music leadership in the church. One day, I got this confirmation. I’m not going to explain all the circumstances here, but certainly it was the Lord’s timing, and it was perfect. For the next year and a bit, I worship-led at the church. In the first few months, I was still quite nervous. I would prepare a song list early in the week for the Sunday and pray over each song I picked. I would sing and play through the songlist, and write down the exact V C V C B C C chorus. I felt a bit inadequate needing my chord music to lead because for some reason I had developed this idea in my head that worship leaders never used music… God worked on that one with me. 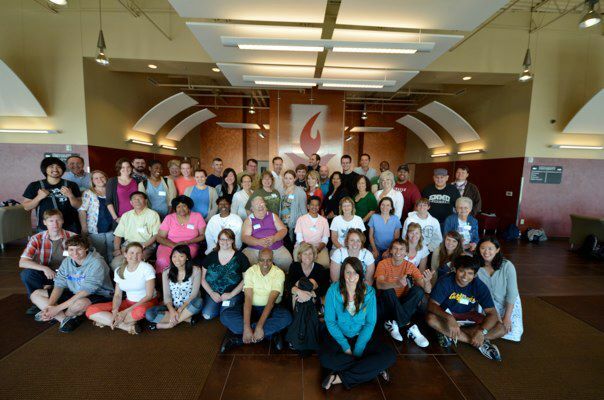 Two years ago, I heard about IHOP (the International House of Prayer) for the first time. I remember tuning into the live webstream and realising that this was the kind of worship my heart had desired to see for 10 years. Now, after 10 years of waiting, I began to see the fruit of prayers, yearning and waiting. Both in the church and around the world, my eyes were opened to see worshippers in spirit and in truth being trained up in knowledge and understanding of Jesus Christ. I marvelled at the testimonies of grace, intimacy and changed lives that were springing up all around me in my own church, and my own heart fell even more passionately in love with the Saviour who heard every whispered word, and whose every promise was true and faithful. This was the beginning of something I am still discovering. My France trip was saturated with music and on one of my last days there, I recorded a song with some of my French friends – “Hallelujah” by Jeff Buckley. I was extremely nervous and when they went to playback some of the recording, I told Jesus about my concerns about my singing. However, I was pleasantly surprised and the recording turned out well! On my return to Australia from France, encouraged in my spiritual and musical journey, I wondered what would happen next. Within two days, I randomly met a couple who ended up staying at my house overnight and made a new friend who had a very similar musical testimony with the Lord. It was confirmation that God was now opening up doors for me to share the music He had given me. I researched some simple music recording programs and read a few articles and blogs on how to use them. Then, I sat at the piano, composed and properly recorded my first song – “A Bientot”, written out of my thankfulness to the Lord for the time He had given me in France. All these years, I waited for the right people to sing with me but while I had sung with various people, nothing had ever worked out. This time, I took the initiative to do it all alone – vocals, harmony, piano and cello. It worked and I put it to a little slideshow of photos. 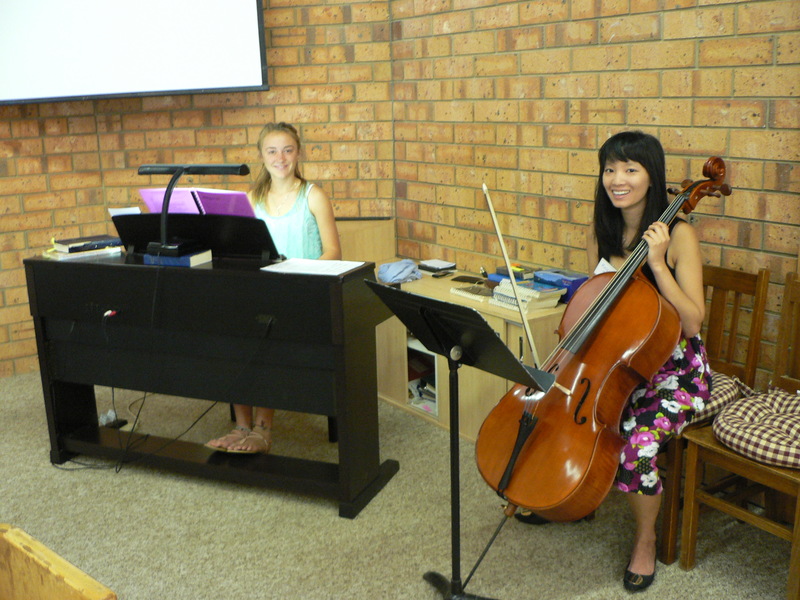 A couple of weeks later, I attended a small worship and prayer gathering with some friends where I played piano. I actually hadn’t felt God’s presence that strongly that week, and I definitely hadn’t prepared a set of songs. 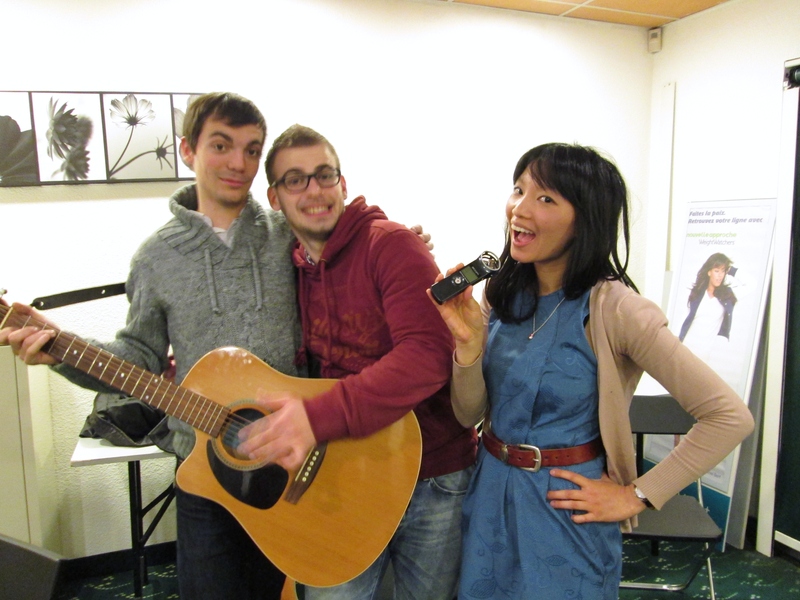 However, when I started to play piano, the songs flooded through me, and we worshipped together. At the end of this session, someone remarked on how my voice had matured in the past year, and another shared about how the lyrics and songs I had sung touched his heart. It was encouragement to me that God had indeed been teaching and maturing me in this gift of music He had given me. It was also another confirmation that the time was right to start sharing the songs He had given. So, here I am. I’m still journeying and learning, but I can also look back at a journey which has already lasted for over 10 years. I’m seeing fruit ripen, and new paths open, and I’m still learning what it means to glorify God with all that I am – with all my heart, mind and soul, with every ounce of my creativity, with every word I speak or sing, with every decision I make. I am so thankful for every person the Lord has sent into my path to encourage me and teach me on this journey already (there are too many for me to mention everyone but I remember all those moments), and I am excited for what is to come! One thing I know, that I desire to dwell in the house of the Lord and gaze upon His beauty all the days of my life [Psalm 27:4], and one thing I declare – that I will praise the Lord all the days of my life, my lips with sing and glorify His name Psalm 63:2-5].